Albertalli, Becky. What If It's Us. Harper Teen, 2018. Arthur is in New York for one summer only, assisting his mother at her law firm. Ben is a New York native, but he is reeling from a recent breakup. When the two of them bump into each other at the post office, it creates a perfect storm of teen angst and desire. They like each other; they think they love each other, but can they make this relationship work? This story is equal parts adorable and frustrating. I love the friend groups that Arthur and Ben each have and how they work through their various relationship struggles. 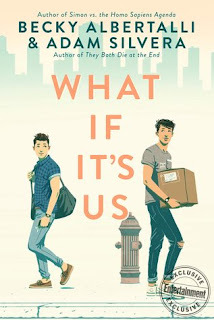 I was bothered both by the self-centeredness of each of the boys (although that aspect was entirely normal considering these are teen characters) and found it a bit difficult to navigate whose story I was reading. This was an e-ARC, however, so it's possible the publisher will change the typeface for each narrator or do something similar. 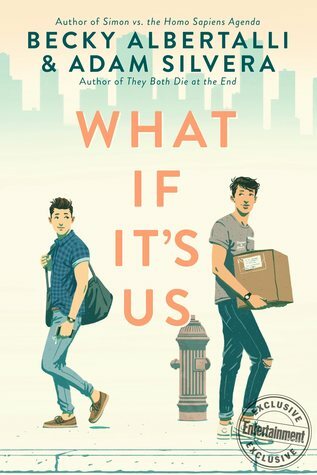 This book will resonate with teens who enjoy contemporary stories, especially those involving romance and drama, as there is plenty of both in this story.